The Gartley pattern, one of the most traded harmonic patterns, is a retracement and continuation pattern that occurs when a trend temporarily reverses direction before continuing on its original course. 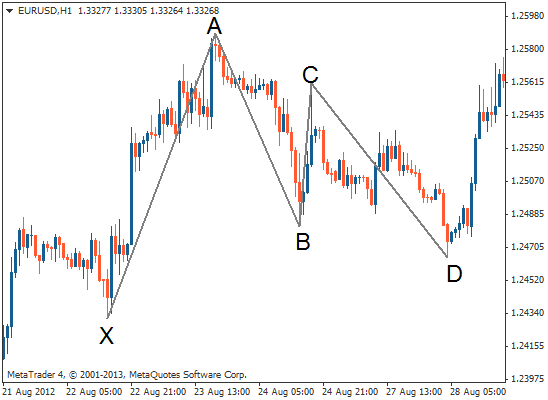 It gives you a low risk opportunity to enter the market where the pattern completes and the trend resumes. As with many chart patterns, there is a bullish and a bearish version. The Gartley pattern includes the AB=CD pattern in its structure, meaning it is very important that you have studied this pattern first. The pattern is often referred to as Gartley222 because H. M. Gartley first described it on page 222 of his 1935 book Profits In The Stock Market. The Gartley pattern, one of the most traded harmonic patterns, is a retracement and continuation pattern that occurs when a trend temporarily reverses direction before continuing on its original course. It uses Fibonacci levels and has a bullish and bearish version. As shown above, the Gartley pattern looks similar to the AB=CD pattern except it has an extra leg: X-A. In its bullish version, this first leg forms when the price rises sharply from point X to point A. This is the pattern's longest leg. The A-B leg then sees the price change direction and retrace back down part of the distance covered by the X-A leg. 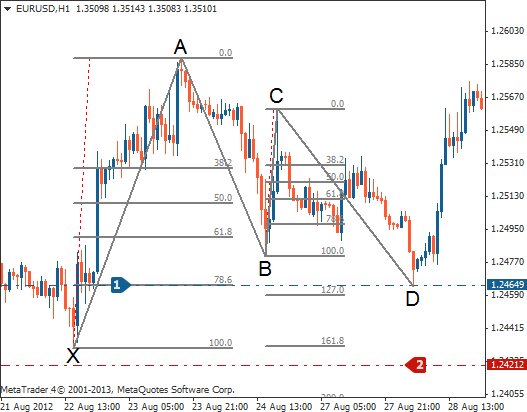 In the pattern's purest form, it will make a 61.8% Fibonacci retracement of the X-A leg. The Gartley pattern looks similar to the zig-zagging AB=CD pattern except that it contains an extra leg at the start. Fibonacci levels are used to measure the distance of these legs. Note that the A-B leg can never retrace beyond point X – if it does, the pattern is no longer valid. In the B-C leg, the price changes direction again and moves back up, retracing anything from 38.2% to 88.6% of the distance covered by the A-B leg. If it retraces up beyond the high of point A, the pattern becomes invalid. The C-D leg is the final and most important part of the pattern. As with the AB=CD pattern you are looking for an AB=CD structure to complete the pattern, looking to enter at point D.
The difference when trading the Gartley pattern is that you look to place your trade entry order at the point where the C-D leg has achieved a 78.6% retracement of the X-A leg. This is easier to see, and it means that you can simply draw a Fibonacci retracement using the X-A leg and then use the 78.6% retracement level to enter. The pattern will no longer be valid if price retraces past point X. Note: point D will not always be exactly the same as the 78.6% retracement, however, if point D is the same as the 78.6% retracement, it means that the signal to enter is stronger. Ideally, point D should also represent a 127%-161.8% extension of the B-C leg. The following shows you how this looks on a chart using the Fibonacci tool on MT4. If you apply the Fibonacci tool to your MetaTrader 4 platform, it can automatically mark key Fibonacci levels on your chart. We will now look at how you can trade using the Gartley pattern. For the example, we will use the bullish Gartley pattern. For a bearish Gartley pattern (a short/sell trade), simply invert the pattern and your orders. 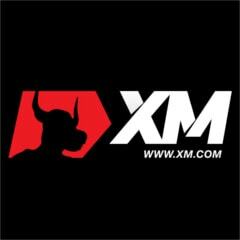 Identify where the pattern will complete at point D – this will be at the 78.6% retracement of the X-A leg. 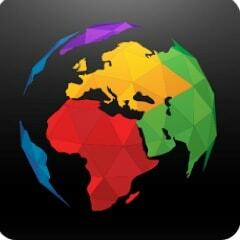 Place a buy order here. Where you place your profit target using this pattern is highly subjective and depends on your trading objectives as well as market conditions. 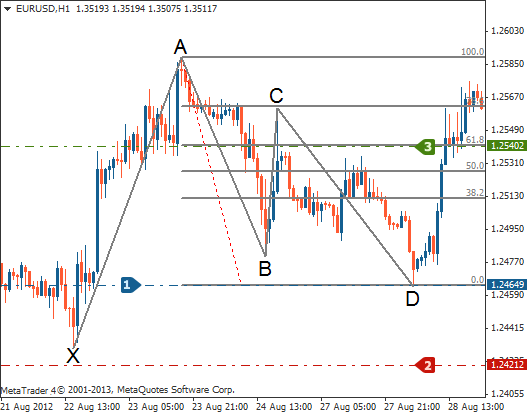 One method, however, involves drawing a new Fibonacci retracement from point A to D of the completed pattern. 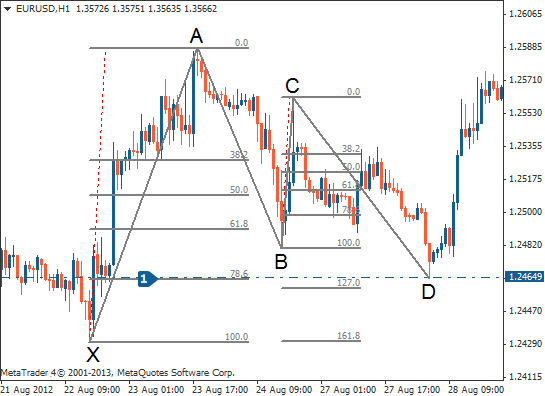 Once this Fibonacci retracement has been drawn, look at placing your profit target at the 61.8% retracement level of A-D. Note that you can only draw this Fibonacci retracement once the pattern has completed at point D and the price has reversed. … the Gartley pattern is a retracement pattern that occurs when a trend temporarily reverses direction before continuing on its course. … it includes the AB=CD pattern in its structure and gives you the chance to go long (bullish Gartley) or short (bearish Gartley) at the point where the pattern completes and the trend resumes. 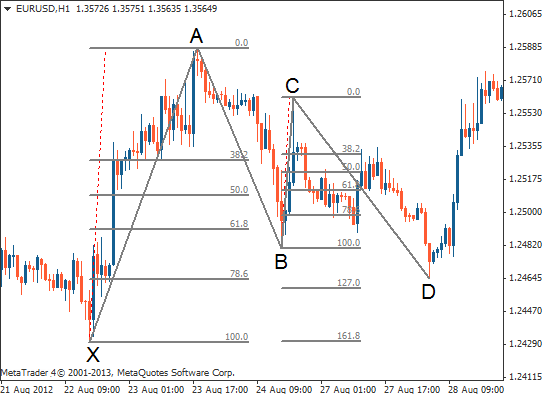 … it relies on Fibonacci levels, which determine how far price retraces or extends during the patterns formation – MetaTrader 4 can automatically add these levels to your chart. … to trade using the Gartley pattern, place your buy order at the point where the C-D leg achieves a 78.6% retracement of the X-A leg. … place your stop loss just under point X. … draw a new Fibonacci retracement from point A-D of the completed pattern and take profit at the point where price will have retraced 61.8% of the distance between A-D.